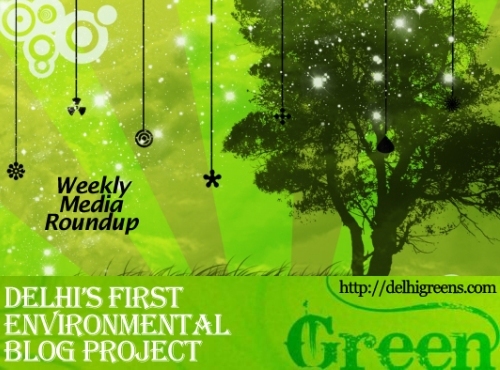 Weekly green news update from across different media networks for week 30 (between July 25 to 31) 2016. Civil Aviation Minister Ashok Gajapathi Raju and Chairman of Airports Authority of India Dr. Guruprasad Mohapatra yesterday planted tree saplings at Indian Aviation Academy campus in New Delhi as part of `Clean India Mission’. The National Green Tribunal has refused to order demolition of Siri Fort Sports Complex, including its squash and badminton courts, in Delhi and held the entire complex and its various constructed portions would not be put to any kind of commercial use or non-sport activities. Monsoon is the best time for nature lovers as it breaks the debilitating heat spell and turns the ecosystem verdant once more. There is resentment among residents of Defence Colony’s block B as Delhi Jal Board has failed to provide a permanent solution to the overflowing sewer lines here. Delhi high court on Thursday warned that it may take action against central and state government officials who fail to check rising air pollution in the capital. Delhi High Court today asked the Aam Aadmi Party (AAP) government about the measures taken by it for relocating a colony from the Ridge area here as per the Supreme Court’s direction to remove all encroachments from the area in order to protect the forest there. The Delhi municipal corporations are now looking up to a small time municipality of Andhra Pradesh, Tadipatri, to help resolve their sanitation woes. The AAP government on Wednesday was caught on the wrong foot in the Delhi High Court when it submitted that the Kushak nullah was not a river and was therefore, good as it is, even as the judges were presented with photographs of tonnes of debris, waste and silt choking it. The Delhi Metro Rail Corporation is faced with the challenge of disposing of over 60,000 fused compact fluorescent lamps and tubelights that have accumulated over the years. The National Green Tribunal has imposed an environmental compensation of Rs 15 crore on a charitable hospital in Dwarka here for beginning construction without environmental clearance. A recent assessment by Central Pollution Control Board indicates that there was increase in concentration of pollutants at most of the monitoring locations during the second phase of vehicle rationing scheme period in DELHI, government today said. The railways has collected Rs. 41,800 as fine from those throwing waste on tracks in Delhi area after the National Green Tribunal asked the public transporter to act against such people effectively, Lok Sabha was informed on Wednesday. Scientists have developed “artificial leaves” – potentially game-changing solar cells that cheaply and efficiently convert atmospheric carbon dioxide directly into usable hydrocarbon fuel using sunlight.